I love having cards on hand that are appropriate for multiple occasions. 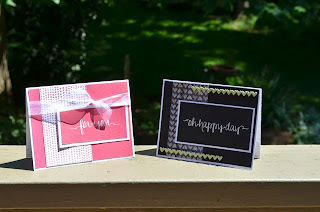 I used sentiment stamps from Avery Elle's Oh Happy Day collection to make these cards, as well as patterned paper from the We R Memory Keepers Love Notes 6x6 paper pad. 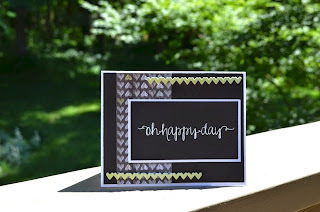 I love the combination of white, black, and lime green. I used the line heart die from Paper Smooches' Hearts die set on a piece of lime paper from this set and used foam adhesive to add some dimension. The sketchy looking hearts on the patterned paper also help to give this card some texture. I love the variation of pink watercolor dots in this card. It is so bright and girly. 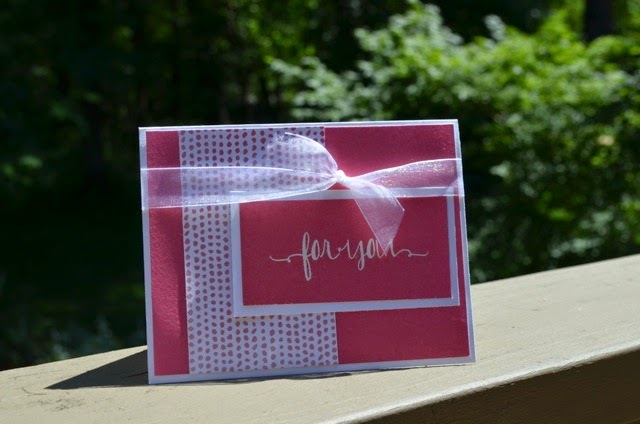 The "for you" sentiment does a great job of making this card great for almost all occasions.